Real McCoy is originally known as M.C. 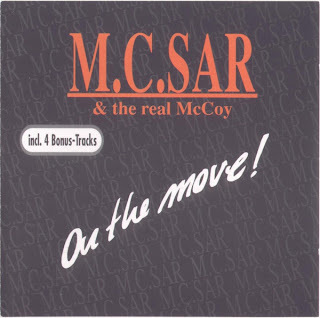 Sar & The Real McCoy, is a German band, best known for their 1993/1994 singles "Another Night" and "Run Away", which were both #1 singles in Australia and reached the Top 10 hits in the United States and the United Kingdom. The band originally consisted of German rapper and producer O-Jay (Olaf Jeglitza), Shampo and Patsy Petersen. Then, Shampo no longer formed part of the band and another singer, Vanessa Mason, came into the scene. The band split in 1997, after the release of their album One More Time. 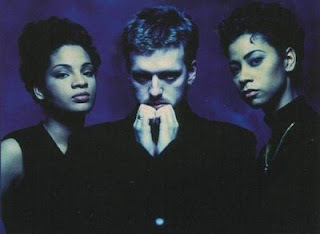 However, the group was revived with Olaf Jeglitza as frontman with other two singers Debbie Butts and Gemma Simpson. On The Move is Real McCoy's first album, released in 1990. This is the only album that features Shampo. However, he only mimed O-Jay's raps. 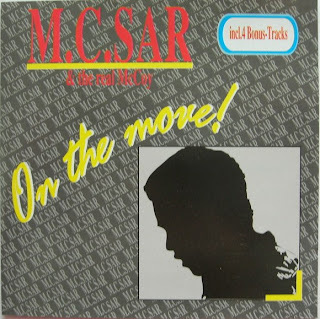 The singles taken from this album were: Pump up the Jam (#16 Germany), It's on You (#11 Germany, #8 France), and Don't Stop (#41 Germany, #19 France). 1-) On the Move (Intro). 4-) Serious (ft. Diamond Ross). 5-) McCoy's House (ft. Jay-Rapper). 6-) Don't Stop (Acapella version). 7-) Pump up the Jam (Original Rap version). 11-) I Owe You Nothin'. 13-) Pump up the Jam Rap (U.S. Remix) (CD only). 14-) It's on You (Allstars-Remix) (CD only). 16-) Don't Stop (Single Mix) (CD only). 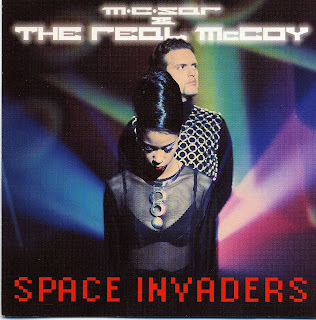 Space Invaders is Real McCoy's second studio album, released in 1993. The album now featured then new member Vanessa Mason. The singles taken from this album were: Another Night (#18 Germany, #2 U.K., #3 Germany) and Automatic Lover (#20 Germany, #38 France). NOTE: Since tracks 2, 3, 5, 6, 7, 8 and 13 are already included in the Another Night album, the uploaded file will only include the remaining tracks. 1-) Space Invaders (The Opening). 2-) Automatic Lover (Call for Love). 12-) How Deep Is Your Love? 13-) Another Night (U.S. House Mix). 15-) Space Invaders (The Last Crusade). 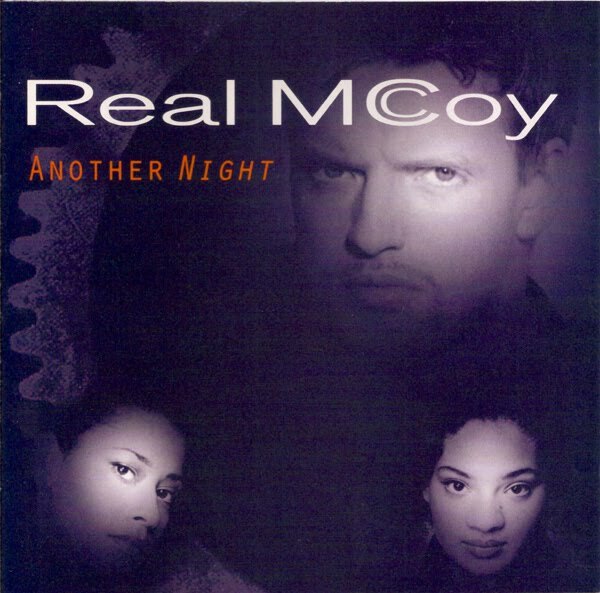 Another Night is Real McCoy's third studio album, released in March 14, 1995. The album charted at #6 in the U.K. and #13 in the U.S. The album spawned the following singles: Another Night (#3 U.S., #2 U.K.), Automatic Lover (#52 U.S., #58 U.K.), Run Away (#22 Germany, #6 U.K., #3 U.S.), Love & Devotion (#37 Germany, #11 U.K.), Come and Get Your Love (#53 Germany, #19 U.S., #19 U.K.), Sleeping with an Angel (#19 U.S. Dance charts) and Operator. This album is considered as the U.S. version of the Space Invaders album. Hence, the fact that many of Space Invaders appear in this album. 2-) Come and Get Your Love. 3-) If You Should Ever Be Lonely (Deep in the Night). 5-) Sleeping with an Angel. 8-) Automatic Lover (Call for Love). 11-) Another Night (House Mix). 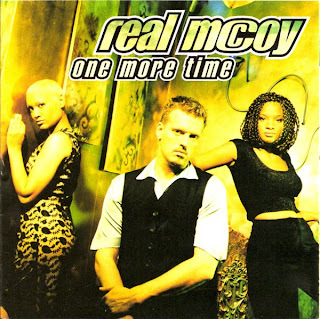 One More Time is Real McCoy's fourth and so far last studio album, released in 1997. By this time, Vanessa Mason had left the group and was replaced by Lisa Cork. The singles released from this album were: One More Time (#27 U.S., #85 Germany, #81 U.K.), I Wanna Come (With You) (#82 Australia), and If You're Not in It for Love (which is a Shania Twain song originally). 2-) I Wanna Come (with You). 3-) Give a Little Love. 4-) (If You're Not in It for Love) I'm Outta Here. 8-) Take a Look at Your Life. 9-) The Sky Is the Limit. 10-) Love Is a Stranger. Greet and congratulate the great publishing discography "Real Maccoy", but please be kind enough to rise again these wonderful music file. I appreciate your help, attention and prompt reply. Saludo y felicito la genial publicación de la discografía de "Real Maccoy", pero por favor tenga la amabilidad de subir de nuevo estos maravillosos archivo musicales. Agradezco de antemano su ayuda, atención y pronta respuesta.